Like most things, Revision Division started with a vision. “The materials that we see come into The RE Store — old growth wood, vintage hardware, rare tropical woods — you can’t buy these things new anymore,” says Kurt Gisclair, Director of The RE Store. “I had this idea: If we could use these materials to build functional furnishings, people would see and understand the value in salvaging raw materials.” The only problem? Gisclair didn’t have anyone on staff that could manifest his dream. As with anything at The RE Store, all he had to do is picture what he wanted, and wait for it to show up. In 2010, furniture-maker and creative painter Eberhard Eichner began installing window displays at The RE Store. Gisclair quickly noticed his creative nature and carpentry skill, and it wasn’t long before Revision Division was born. 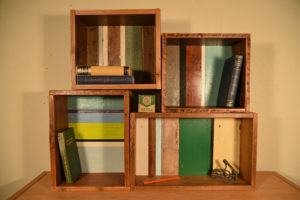 Eichner was hired to design and build furnishings from the reclaimed materials available at The RE Store. 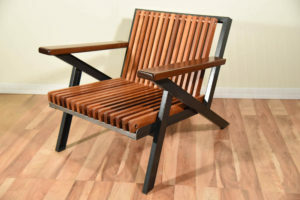 The philosophy was simple: provide reasonably priced furniture built from reclaimed materials and inspire shoppers to Do-It-Yourself with simple designs they could replicate. Eichner taught basic carpentry skills at in-house workshops, and explored creative uses for raw materials. His designs were sold in The RE Store showroom and custom works made their way to The Willows Inn on Lummi Island, The Whale Museum on San Juan Island and Bellingham City Hall. 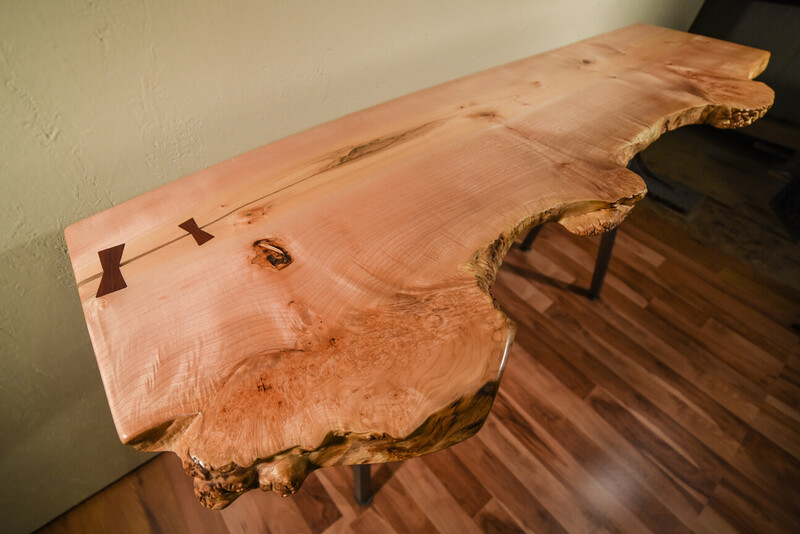 Exchanging raw materials for reused materials — that would otherwise overflow in our landfills — is not only helping to maintain the availability of our natural resources, it’s also introducing a sustainable cutting edge to the furniture building industry. Valuing the uniqueness and utility of scrap is a win for consumers, because they get to buy one-of-a-kind pieces with depth of character that is hard to find these days. It’s a win for builders, because they get to explore the endless creativity and thrift of reused materials. And in a world where construction and demolition waste makes up 25%-45% of landfill waste, using salvaged materials is a win for the planet, because rock, minerals, and wood aren’t being harvested only to later be discarded. Vaughn uses this metaphor to describe his work: Just like a chef relies on the farmer to grow delicious food, so does Revision Division rely on our community members to keep reusable materials out of the landfill. “I hope the community knows that Revision Division is our way of saying ‘thank you’ to every donor — past, present or future,” says Spangler. For sale: Revision Division handmade furnishings range from $25 rustic mirrors to $2,000 slab furniture, depending on size and materials. Learn more: Did you know that cabinet sets can be recycled? Learn more about how you can donate to Revision Division and The RE Store.